Hope you have been doing good. As you might have noticed, I have changed my blogging schedule from weekends to mid-weeks now as I shall be making a video on YouTube in the weekends. In today’s post I shall write on a miraculous plant that is aloe vera. We all know that aloe vera is one of the most amazing plants ever which has numerous health and beauty benefits. To know the various beauty benefits of aloe vera, keep reading. 1. As a daily skin treatment. Apply aloe vera juice to your face and neck just like you would with any skin serum to keep the early signs of aging at bay. 2. To face away acne scars. If you have scars left from acne, apply aloe vera mixed with some lemon juice on it everyday to see them lightening gradually. 4. To gently moisturize the skin. Aloe vera is a natural humectant. Add a few drops of baby oil to aloe vera and use as a natural moisturizer. 5. To tame down the frizz. Apply some aloe vera to the ends of your hair after wash to tame down those unruly frizz. 6. As a heat protectant. Before using any hair styling tool like dryers, straightening irons, use aloe vera generously to protect your hair from the heat. 7. As a face toner. Aloe vera helps in minimizing the skin pores so it can be used as a natural skin toner on the face. 8. As an aftershave. Aloe vera is very soothing for the skin so it can be used post shaving or waxing when the skin turns out to be really sensitive. 9. On an itchy scalp. Just like skin, aloe vera is soothing for the scalp as well. So if you have an itchy and sensitive scalp or you face a dandruff problem, aloe vera can be a help. 10. On sunburns and stretch marks. 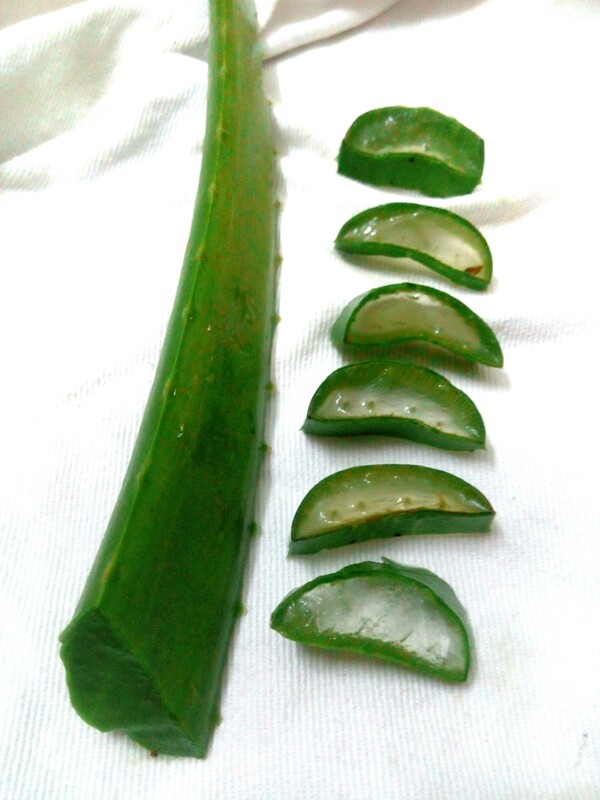 Aloe vera has healing and inflamatory properties which can help in treating sunburns. Also, due to its healing properties, it can help the stretching tears on the skin due to rapid weight-gain or loss. All natural home remedies take time and so does aloe vera. If, you are trying out any of the above remedies, be patient as well as consistent and you would soon see amazing results. Hope you liked this article. Do check out for more. Thanx for sharing dear ! !